I founded and have run an international school for expat families and multicultural children for nearly a quarter century. There have been frequent visits from Japanese parents asking to enroll their children in our school because they were not satisfied with what the local Japanese schools offered. Although it is an honor to have such requests, I am always surprised to find so many Japanese think in such a way. In Japan, some families migrate to another country because of educational preferences. Sometimes only the mother moves overseas with the children, while the father stays in Japan to continue with his job. Malaysia is so far their most popular destination. It is indeed a radical trend. Several years ago, I was among the guests to dine with an education minister of the Netherlands. He told us that during his visit to Japan, he was often told by Japanese people that they envied the education in his country and wished the Japanese education system could be more like it. He said he was surprised since he had come to Japan to learn about Japanese education, which in Europe enjoys the reputation of having a high academic standard and success rate. He wondered why there was so much dissatisfaction. We all know that there is no such thing as a perfect education. Every system has its strengths and weaknesses. But is education in Japan as bad as many Japanese people seem to think? Education is a complex field, but let’s take a look at some research and OECD data first. The OECD conducts the Program for International Student Assessment (PISA), a triennial international survey that aims to evaluate education systems worldwide by testing the skills and knowledge of 15-year-old students. In 2015, over half a million students, representing 28 million 15-year-olds in 72 countries and economies, took the internationally agreed two-hour test. Students were assessed in science, mathematics, reading, collaborative problem solving and financial literacy. Historically, Japan has ranked high and did so as well in the 2015 test. Students here ranked second in science, eighth in reading and fifth in math among the 72 countries and economies. Other consistently high-ranked countries and economies in Asia are Singapore and Hong Kong. However, it should be taken into account that both of them have much smaller numbers of children than Japan. Even Canada, which ranked third in reading, has only 5.6 million children under the age of 14, whereas in Japan that number is nearly 16.2 million, three times as many. Looking at the results and given the variables in numbers of children in each country, Japan’s ranking seems rather impressive and its positive reputation in Europe well-deserved. Japanese schools should feel proud of themselves. Of course, evaluating the success of educational outcomes involves more than quantitative or statistical analysis of standardized testing. There are important qualitative outcomes to consider, which are more difficult to measure by statistics. Consider, for instance, the fact that after the Japanese team plays a match in a World Cup soccer tournament, there is no garbage left behind in the Japanese supporters’ area. Supporters make sure to clean up their garbage even when Japan has lost the game. This kind of care for surroundings and responsible civil citizenship is developed over time in Japanese schools. From teachers and coaches, Japanese students learn to clean up not only their classrooms but corridors and other communal areas. This way students learn not only to respect their surroundings, they also develop a shared sense of responsibility regardless of their home backgrounds. Japanese school culture nurtures students’ values and sense of community in other ways that are too subtle for statistical analysis. A professional dietitian plans balanced menus for lunch, then students serve lunch by themselves and eat together in their classroom with their homeroom teacher. A close sense of community develops and it is another opportunity to show respect — this time for food as everyone says “itadakimasu” before and “gochisō-sama deshita” after the meal. Students also learn basic life skills such as sewing, knitting, cooking, and various handicrafts in school. Traditional skills such as calligraphy are taught as well. Traditional as well as modern sports and cultural activities are offered in after-school clubs. All of these are taught by regular teachers free of charge. Japanese teachers are in fact much more than subject teachers. As well as coaching after-school activities, they visit students’ homes to get a better understanding of particular family contexts and to reinforce a sense of a close-knit and caring community. Teachers go beyond the classroom, and greet the students at the gate. Students not only feel welcomed but learn the important habit of greeting. 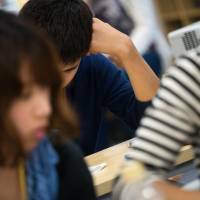 In fact, teachers at junior high schools in Japan work an average of 63 hours and 18 minutes per week — the longest hours among all OECD countries — and there is little overtime compensation. Not only are the hours long, but there can be as many as 40 students per class. And out of the 40 students, on average six students are from families of relative poverty, 2.5 students have a developmental disorder, six think that classes are too difficult and five think they are too easy. And all these kinds of students are taught by one teacher — a daunting task. It is surely the dedication of Japanese teachers as well as parental investment in education that has allowed Japan to maintain its high educational achievements. So why do parents underestimate this success? Why are they dissatisfied? Well, it is not just parents who are showing dissatisfaction. 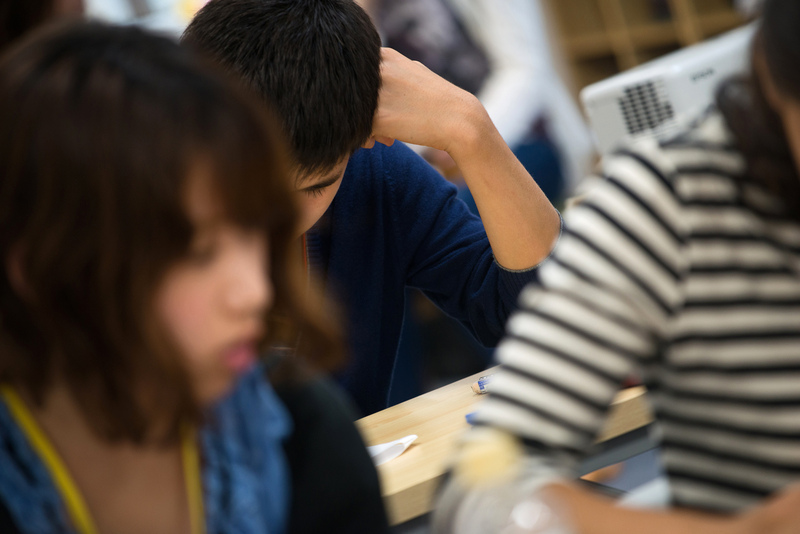 According to research by the National Institution For Youth Education, 72.5 percent of 1,850 Japanese high school students surveyed said they consider themselves useless, compared with 35.2 percent in South Korea, 45.1 percent in the United States and 56.4 percent in China. This result might partly be explained by the fact that Japanese value modesty, but also it might be because of a lack of self-confidence. There is no need for this. Another OECD survey, the Program for the International Assessment of Adult Competencies — which is the adult version of PISA — ranked Japan as No. 1 out of 24 countries in science, mathematics and literacy in 2013. We owe a lot to the schools for this ranking. Isn’t it about time that we look at the facts and say proudly that our education is not so bad? In fact it is rather good. Let’s have more confidence and say we are not doing too bad in the educational field, despite the government’s low spending in this area. There are improvements to be made, but let us understand and appreciate what is already of worth and build on that accordingly. Ikuko Tsuboya-Newell is founder and chair of Tokyo International School. She is a member of the International Baccalaureate Asia Pacific Regional Council and sits on the Cabinet Office council on education rebuilding.